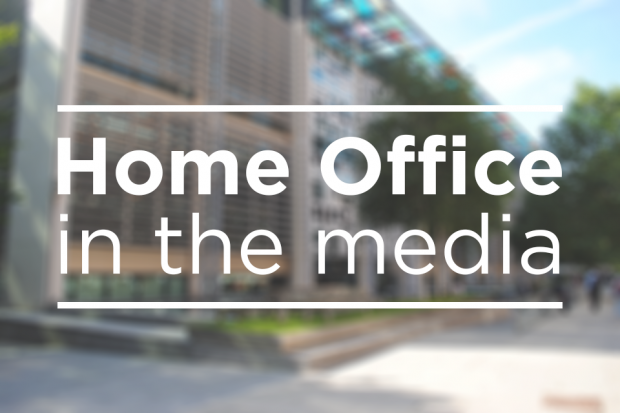 Today’s Home Office related stories include an £11 million expansion of Video Enabled Justice, and coverage of comments by the president of the Police Superintendents' Association of England and Wales on police resourcing and officer welfare. The Telegraph, Mail, Express, Sun and Daily Star report that the government is extending Video Enabled Justice to allow more police officers and victims of crime to give evidence via video links. The coverage says that the £11 million expansion is aimed at freeing up more time for police officers and staff who may otherwise spend vital time travelling to and from courts, and will make it easier for vulnerable witnesses to give evidence. A comment from the Minister for Policing and the Fire Service is below. We must embrace digital policing, push forward with vital reforms and transform forces so that we can take on the challenges of policing in the years to come. Crimes traditionally measured by the independent Crime Survey for England and Wales are down by more than a third since 2010, but we know that crime is changing. That means we must be ambitious in our improvements and Police Transformation projects, such as Video Enabled Justice, are exactly the type of endeavour that will maximise frontline police time and mean police can better respond to the evolving challenges of public safety. The BBC’s Today programme, BBC News Online and the Victoria Derbyshire Show have been reporting comments made by Chief Superintendent Gavin Thomas, president of the Police Superintendents' Association of England and Wales, ahead of the group’s conference today. He says that fewer resources and reduced public services have led to a “perfect storm” while a survey of its members found around half had experienced symptoms of anxiety and more than a quarter signs of depression. The Minister for Policing and the Fire Service will be addressing the Association’s conference later today. An extract of his speech is below. We know that policing, by its nature, can be a stressful and challenging job. So it’s important that the Government acts too when and where we can add value. In June, the Government awarded an additional £1.5m to Mind to ensure they are able to help those emergency service workers involved in the response to recent tragedies, and are able to receive targeted support should they need it. And in July, the Home Secretary awarded £7.5million of funding from the Police Transformation Fund over three years to pilot and - if it is successful - fund a dedicated national service to help provide enhanced welfare support, for any officer or member of staff who needs it. I encourage you to work with this project, with the College of Policing and the Police Federation to ensure that this service is designed to meet the needs of your members and policing as a whole. The Government has also been clear that it is the responsibility of chief officers – supported by the College of Policing – to ensure that good management systems are in place to support officers in their work and we welcome the work being led by Chief Constable Andy Rhodes to push wellbeing to the fore.